On May 29th, Among the Sleep will celebrate its 5th Anniversary. And it’s quite fitting that it’s this very day Soedesco chose to release Among the Sleep – Enhanced Edition on Nintendo Switch, in Europe and North America. 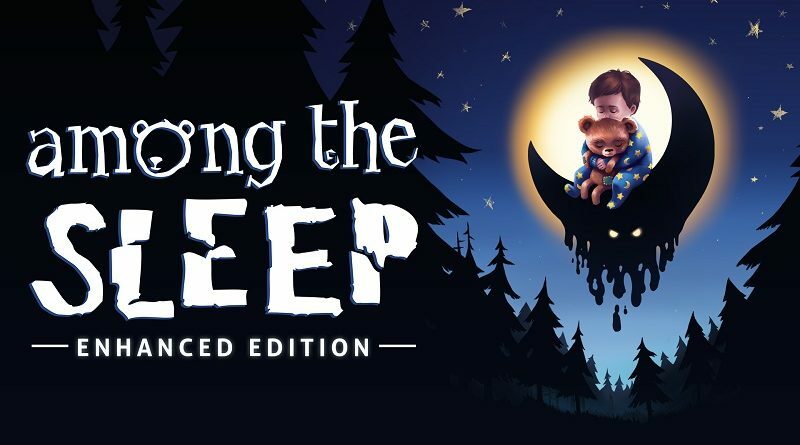 The Among the Sleep – Enhanced Edition contains the completely new Museum Level, with behind the scenes content and extra footage. It also includes a digital artbook and a digital soundtrack. Moreover, players now get to choose which pajamas their character wears in the game. Finally, a new dialogue has been added and a plethora of improvements were made in terms of visuals, performance and gameplay. Among the Sleep – Enhanced Edition (Switch) comes out on May 29th in Europe and North America. The Upcoming Games page has been updated! Hollow 2 (Switch – eShop) comes out this Summer in Europe and North America. Today, Square-Enix launched a series of developers featurettes called “Inside Final Fantasy”, featuring interview with developers, original creators, and artists. The first one is about Final Fantasy IX! Inside FINAL FANTASY IX takes a look at some of the secrets and anecdotes from the development of the game, featuring interviews with, Shinji Hashimoto (Producer), Toshiyuki Itahana (Artist), Kazuhiko Aoki (Event Designer) & Nobuaki Komoto (Event Planner). Forever Entertainment have announced that all their Nintendo Switch games have sold a combined 1 million units. Considering they have released 32 games so far, that’s an average of 31 000 units per game. Heads up for players with the retail version of The Binding of Isaac: Afterbirth+ in Europe: the Ver. 1.3.0 update, released back in January in Europe and North America digitally / at retail in North America, will be released on May 25th. You can find more details about it on this page!